My freshman year of college, a friend down the hall from my dorm room showed me his secret to overnight studying: cases of Red Bull. His parents bought him energy drinks in bulk, which he used to cram as much information into his head as possible. Energy beverages are popular, and have been for over a decade. They appeal to a younger crowd that rejects coffee. Though the packaging often advertises guarana, taurine, and other micronutrients, the energy of energy drinks really comes from its blend of sugar and caffeine. It’s not complicated. And just like soda, energy drinks are inexpensive to produce. You’re buying your preferred brand of sugar, caffeine, and assorted flavoring. That’s okay, though. I’m not railing against energy drinks. After spending a few years downing Red Bulls and Monsters, I re-discovered all-natural energy drinks in the cooler of my local natural foods store. 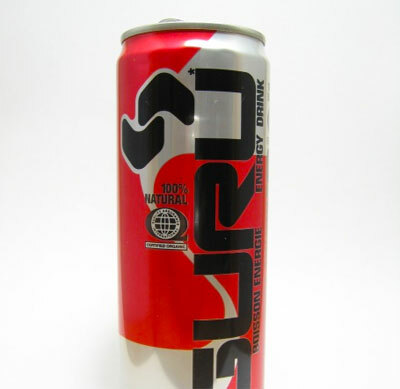 GURU and Steaz look like the biggest names in the natural energy market. Let’s see how some energy drinks compare, ingredient-wise. I err on the side of natural. I haven’t had a Red Bull in years, but I have tried some of the all-natural varieties. They are tasty. And they cost a bit less than a latte (though they are certainly not cheap).